Indian cuisine looks good with spices. Without spices and herbs, a fade portrait of Indian cuisine will appear in our mind. All the spices are rich in taste and health benefits too. The aroma present helps to curb many forms of disorders also keeping them away. Here, we will be talking about one spice plant called “Cinnamon”. Many times, it is said spices are bad for health. Yes, this is true only if used in excessive amount. As a fact, ‘Excess of everything is bad’ same case relies upon this too. Cinnamon is a well-known and commonly used spice. Now, apart from taste we will also be talking about its health benefits. Cinnamon is an evergreen tree which is 20-25 ft tall. 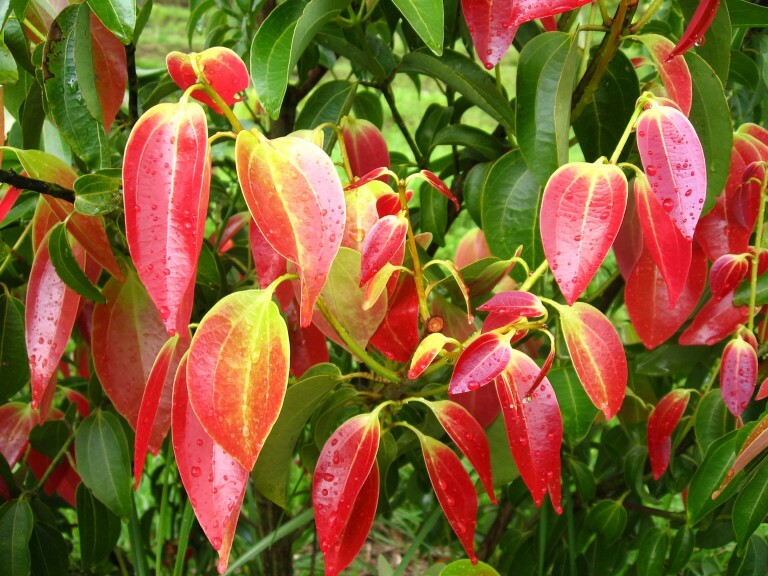 It bears greenish-red coloured leaves which are frontal, leathery and 4-7 inches long. The whole plant has an aromatic and pungent flavour even when the leaves are crushed, it releases a pungent odour and the taste is bitter. It also bears flowers which are whitish-red, long and grow in bunches. They also have a pungent smell. When the flowers are plucked, an odour similar to turpentine oil is released. The fruits are 1/2 to 1 inch long having a seed inside, oval, dark purple and bell-shaped. The bark of tree is used as a spice. The bark of new trees are slippery and oily whereas those of old trees is dry and brown. It is approximately 5 mm thick. As discussed, the bark of cinnamon tree comes under the major usage. Bark contains 1/2 to 1% oil which contains cinnamuldihide and eugenol. The oil looks yellowish when fresh and then changes to red when kept for sometimes. The seeds also contains 33% of oil in it. The root also contain a colourless oil which smells same as camphor. 1. Cinnamomum cassia– It is majorly found in China and its bark is thick. 2. Cinnamomum sp.– It is imported in India from Sri Lanka. The bark is thinner and sweeter in taste. This cinnamon variety is best if used for medicinal purposes. 3. Cinnamomum tamal– It is very thick, less bitter and when grinded with water, it becomes sticky. Its leaves are only called ‘tejpat‘. It is widely found in India and China. This form of cinnamon is used as a common spice in cooking. The bark of cinnamon is widely used to provide an aromatic flavour to dishes like Biryanis, curries, kababs, non vegetarian items etc. Cinnamon can also be used in pickling. It is also used in many dessert recipes like pies, cinnamon candies, patties, Coffee etc. 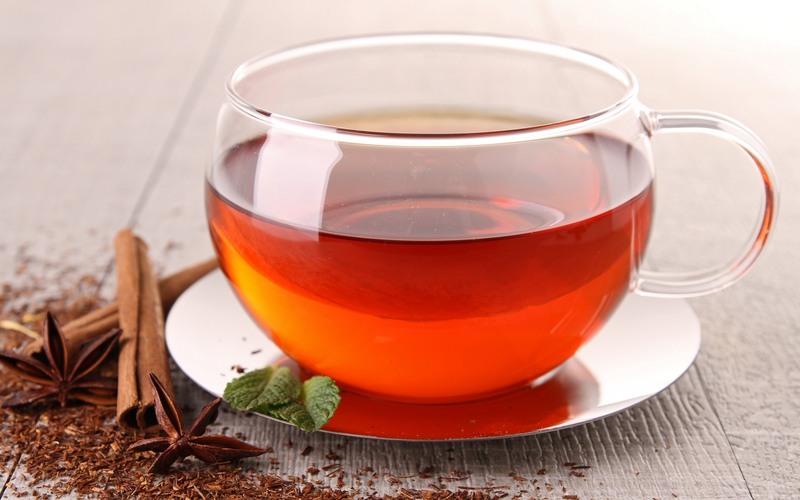 Cinnamon is a basic ingredient in herbal teas and milk tea even. It is a popular flavouring ingredient in alcoholic beverages. The powder of cinnamon is also used in the cooking of several curries and dry items. 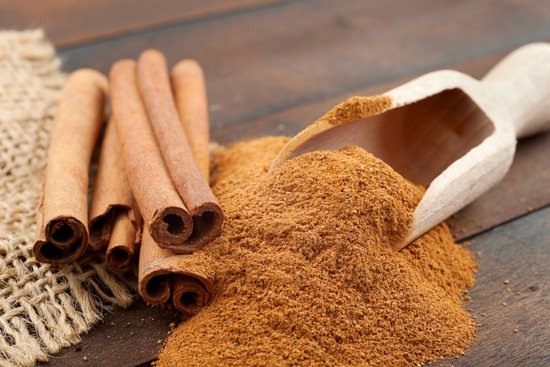 The intake of cinnamon with honey and water; is the best combo to loose weight and to curb many disorders. Now, we will be moving to our most concerned point which is “Health benefits”. Here, we will be talking how to use cinnamon in order to cure diseases. Take a piece of cotton and cinnamon oil. Soak the cotton in oil and apply on the aching tooth. To make your teeth shiny and white, use its 5-6 leaves to brush the teeth. It cleans the teeth and also protects from bacterial effects. Take 3 1/2 gm cinnamon, 600 mg cloves and 2 gm of ginger root. Boil them in 1 litre of water till it is reduced to 250 ml. Strain the solution and give 50 ml of this solution to the patient thrice a day. Put 2-2 drops f cinnamon oil in ears. Apply the cinnamon oil on eyes as kajal. With the regular usage, it treats flickering of eye and also improves the eyesight. Give 1 teaspoon of cinnamon powder with 2 teaspoon of honey twice a day. Take 8-10 cinnamon leaves and grind it well to form a paste. Apply this paste on forehead. It cures headache due to excessive cold or heat. As the patient gets cured, wash off the paste. Give a very little quantity of cinnamon oil. It kills the worms hence treats the disease. Give 5-10 gm cinnamon with 1 gm peepal root and 500 mg of Indian hemp. It cures the fatigue of muscles during Labor pain. Take 10-20 gm cinnamon powder and 20-30 gm honey and form a paste. Use this paste to massage on the affected areas. Along with this, give a cup of warm water with 1 teaspoon of honey and 2 gm cinnamon powder. Give this dose thrice a day. Give 2 teaspoon honey and 3 teaspoon of cinnamon powder with a cup of water thrice a day. With the regular usage, it reduces the cholesterol level. Give 5 gm cinnamon powder in 1 teaspoon of honey. Give this dosage thrice a day. It cures loose motions, swelling of the stomach, indigestion, diarrhoea and many more. In case of vomiting, give 10-20 gm decoction of cinnamon. Massage the cinnamon oil on stomach. It cures intestinal spasm. Take equal quantities of cinnamon, cardamom and cinnamon leaves to prepare a decoction. Give this to the patient in order to cure cardio-spasm. Apply the paste of honey and cinnamon on the affected area. Within a few days, it cures diseases like eczema, itching, boils etc. In case of communicable fever, give 1 teaspoon of honey with 5 gm cinnamon powder. Honey and cinnamon is a good combo to cure many disorders. Give this trice a day. It eradicates all the communicable infections. Give 10-20 gm decoction with 250 gm of Mastangi. It cures hiccoughs due to cough. Try out a natural face pack of cinnamon. Take a teaspoon of cinnamon powder and squeeze half lemon in it. Mix 1/2 teaspoon f honey in it. Mix well to form a paste. Apply this on whole face. Rinse after 15 minutes. It will make your skin shiny, bright and free from acne and wrinkles. So, in this way we saw how this simple kitchen ingredient can be so helpful to cure diseases. These are the natural products which are very nice in usage. Take care and live well!